Tulip Twinkle was released in 2006 as a single in the Cutie Cascade assortment. She has a Cascading symbol. TWINKLE TULIP was born in April and her favorite color is purple. Her favorite flowers are tulips and you can usually find her working in her garden! 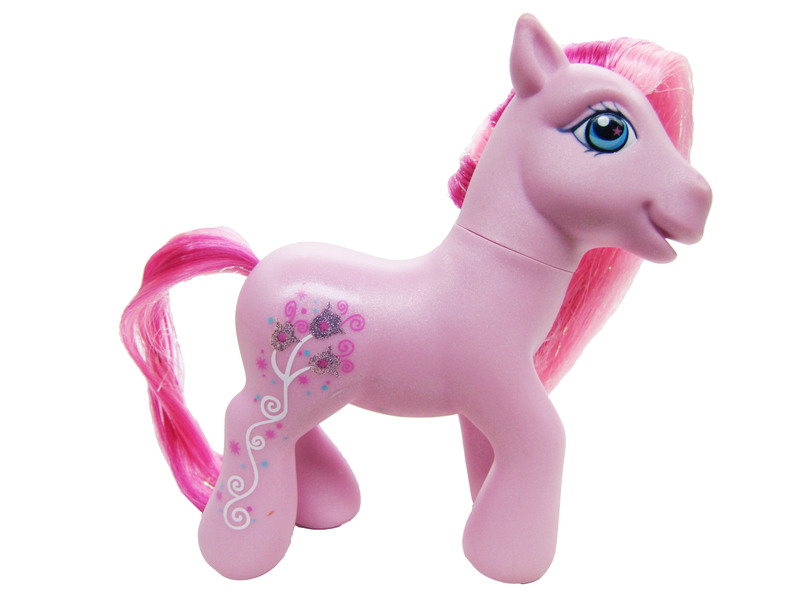 Pretty pony has a butterfly CUTIE MARK with that leaves an elegant design trailing down her leg!